What is the difference between a fauteuil and a bergere? A fauteuil and a bergere are both upholstered chairs with exposed wood frames that originated in France. A fauteuil has open sides while a bergere has closed upholstered panels between the arms and the seat. The fauteuil came first. It appeared in the late 17th century. The bergere showed up during the reign of Louis XV in the 18th century. It usually had a large cushion on the seat. Many consider it the first truly comfortable chair. Sometimes the bergere takes the form of a wing chair, and other times it has a lower back which merges smoothly into the upholstered arms. 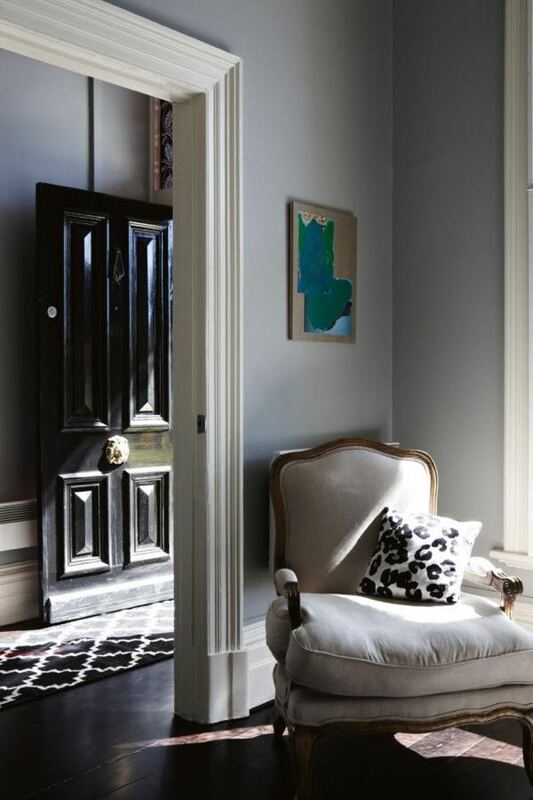 Photo credits: Linen fauteuil in first photo found on domain home. Bergere in bedroom from La dolce vita, Bergere collage photos: purple bergere found on threadsence.co, blue bergeres from the Paris Apartment, pair of bergeres found on Art Hostage, pink bergere found on GN, wing bergere found on Soft Surroundings. 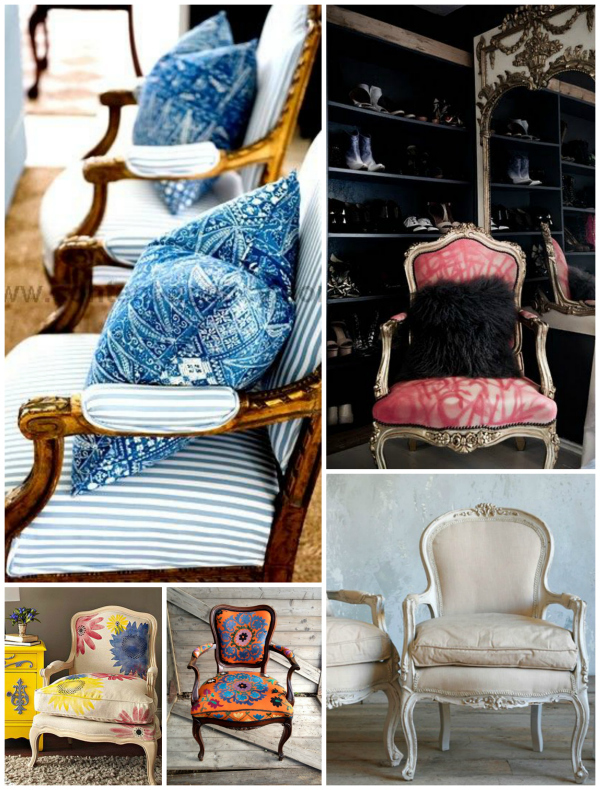 Fauteuil collage photos: Blue striped fauteuils from ZsaZsaBellagio, Pink fauteuil found on Braxton and Yancey. 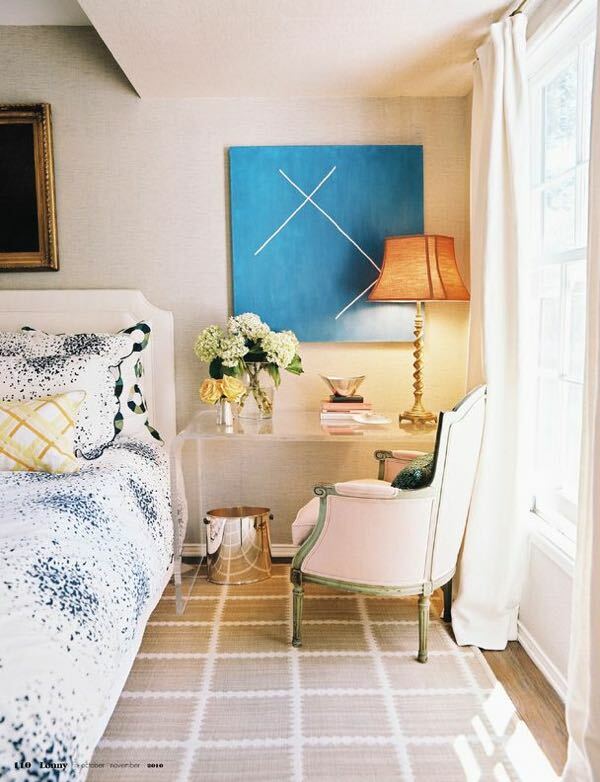 Pair of fauteuils found on Layla Grace, Orange fauteuil found on Etsy, Flower fauteuil found on Midwest Living.